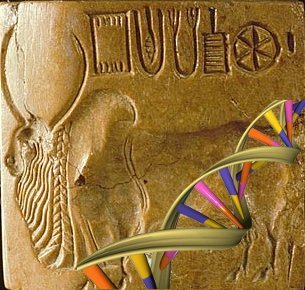 As several people had asked, I have set up a separate website for the Harappa Ancestry Project here at http://www.harappadna.org/. I might also cross-post some items from the project on my regular blog. I have also set up a Facebook page for the Harappa Ancestry Project. Please like it on Facebook so I can get a nice short name for the Facebook page URL. I have received several samples and will be reporting some analysis results soon. However, I do need lots of participants, so please spread the word.